The Jennifer Yu Heung Yi and Cecilia Yip Tung starred new film DISTINCTION (FEI TUNG FAN HEUNG) was invited to be the 2nd Hong Kong Kids' International Film Festival opening film. Two nights ago the film festival held its opening ceremony and premiere. In the film Yip Tung and Yu Heung Yi played mother and daughter, bringing out modern parents' educational method for children, dream pursuit and value. Playing a secondary school student Yu Heung Yi praised Yip Tung's mighty presence, as she easily brought her in character. The slap scene was unforgettable. She said, "In the scene Yip Tung yelled at me very meanly, it was my first scene of being slapped. Before the shoot she was deliberately serious and stated that she would really slap but watch her strength. When she slapped for the first time, I was crying from the pain. We did 8 takes. The director even asked me if I could try other reactions, whch I felt was not necessary." Finally that slap scene was cut. Yu Heung Yi hoped that the director would give her a copy. Yip Tung also mentioned this slap scene and had nothing but praised for Yu Heung Yi. "She is a new comer with a lot of potential. Her performance in a previous film was very wild. This time as a school girl she also performed very well. She had a lot of talent and quite a future." 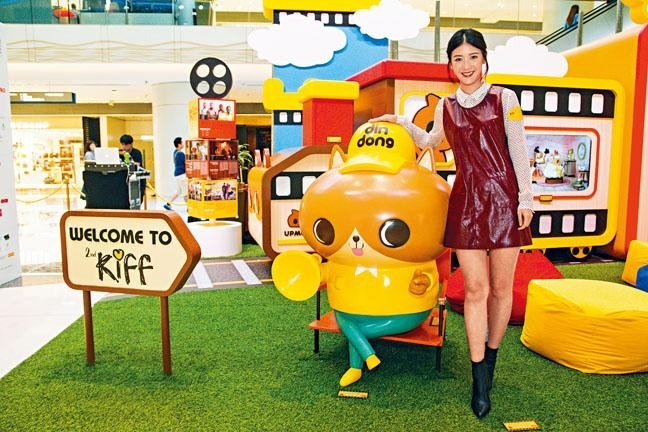 Yip Tung recalled at age 16 during her summer vacation, her then boyfriend and now husband Chan Kwok Fun signed her to a three year contract to make movies. Because her family was very protective of her, they objected to her joining the show business and almost disowned her. Finally she got her wish. Yip Tung said that she got into the business out of the blue, feeling that people's experience was very strange. If she missed the opportunity then her life would be different.